If you'd like to contribute we need tanks and ships built for our armory. 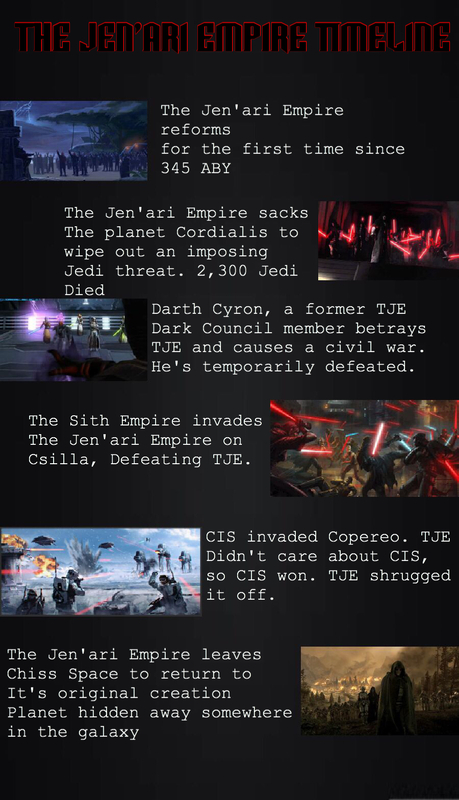 Also when building stuff for the factory regarding vehicles and ships and weapons, your welcome to use the Jen'ari Empire's company linked below! Once a great Sith Empire lead by the Sith Emperor Vitiate nearly 5,000 years ago during the Great Galactic War and The Cold War. The Reconstituted Sith Empire from the Old Republic was a fearsome force. The Reconstituted Sith Empire has returned as The Jen'ari Empire. Quietly we waited and built up our power hidden away. And now, now we have returned to rule the galaxy as it is our force-given right. We teach a variety of things that let's you walk to the path you choose as a sith, whether it be a hardened warrior, sorcerer, witch, an assassin, even soldiers and mercenaries are welcome. We have special divisions/groups that specialize in even deeper and darker paths of the sith to fully develop you into the darkside and as such if your looking for that master and apprentice development we have those that would love to help you with that. So come and get an experience in the darkside you never thought imaginable. Without a doubt this member has shown great initiative and effort to see and help this faction grow, his dedication, activity and loyalty has paid off. Here's a timeline to update you on this factions timeline.